One of the most popular events in Wrexham’s event’s calendar will return to the town centre “bigger and better than ever” next weekend. Taking place over a two day period on Llwyn Isaf, the revamped Wrexham Food Festival is promising something for visitors of all ages. This year’s line-up brings together more than 60 of the best local and regional producers and food vendors, plus local chef demos and lots for families to enjoy – including fireworks to end the new extended Saturday evening live music offering at 9pm. It’s a fresh start for the festival, which has this year been taken over by the This Is Wrexham Tourism Partnership, a non for profit organisation made up of likeminded people who represent Wrexham County as a tourism destination. The festival this year has been put together with a focus on bringing a varied and cultural experience to Llwyn Isaf, featuring some fantastic local food producers and purveyors. Organiser Sam Regan, owner of the Lemon Tree, said: The food and drink festival will not only see the return of the local heroes, like Wrexham Lager, Orchard Pigs and Pen Y Lan Pork, but we’ve also got some great first timers who are new to the scene and are looking to put their businesses on the map offering an authentic food festival experience. 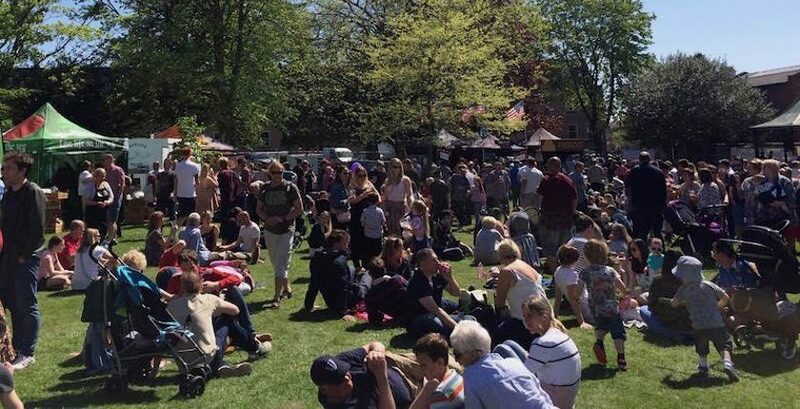 The Wrexham Food Festival will take place on Llwyn Isaf (the Library Field) on Saturday 22nd from 10am until 9pm, and Sunday 23rd 10am until 6pm. Wrexham Council are also helping out by offering free car parking in all council owned car parks for the weekend – so pop along and make a day (or two!) of it! You can get more information, or buy early bird discount tickets by visiting WrexhamFoodFestival.wales!